For more than two decades people like me in Kyrgyzstan have been dreaming of a spin around Uzbekistan. Our neighbor has never been especially friendly, however, so the trip has long been made unappealing by the prospect of bureaucracy and high costs. Since President Shavkat Mirziyoyev came to power in 2016, the doors have been flung open. Kyrgyz tourist agencies are seizing the opportunity to offer whirlwind visits of sights most of us have seen only in pictures. With thoughts of ancient minarets and unreal turquoise mosaics in mind, I bought a five-day, all-inclusive guided tour for myself at 19,000 som (around $270). My two children got discounts and came along too. The 60-seat tour bus departing Bishkek was full to the brim with married couples – without and without children – groups of friends and even a pair of foreign tourists. Anna, an ethnic Russian from the southern Kyrgyz city of Osh, talked about how she used to visit Tashkent as a child and how this would be a trip down memory lane. Retiree Kulina-eje taught in Tashkent in Soviet times and said she wanted to see how the city had changed and to check on prices for Uzbek cotton fabrics. Mahmud and Amina, an ethnic Uzbek couple from Kyrgyzstan, said they had never been to Uzbekistan and that the time had come to fix that. And then there were some, like me, who just hoped to broaden their children’s historical and cultural horizons. Our bus drove through the night on the relatively smooth roads of Kazakhstan and Uzbekistan. There was some apprehension as we neared our objective. It was previously not possible for Kyrgyz people to enter Uzbekistan from Kazakhstan at the Chernyayevsky crossing without special documentation. It is said that the border check can still be a little harrowing and that Uzbek guards insist on painstakingly examining smartphones for illegal content. As we crossed on foot through the neutral zone, we were confronted by a vast number of money-changers – middle-aged women, young men and male elders – looking to buy our dollars, rubles and som in exchange for Uzbek sum. Although we were tempted by what seemed like good offers, we followed our guide’s advice and avoided holding up the crossing. To our relief, the document check was a breeze. Kyrgyzstani travelers took the x-ray inspections of the luggage and the intense all-over body-frisking more or less in their stride. The two female foreigners in our group – from the United States and Japan – were visibly upset by the inspections though. On our first morning, we found Tashkent a brilliant burst of golden fall foliage. But my children’s attention was drawn by something altogether different. “Mom, it's so clean!” they said. True enough, coming from Bishkek, the Uzbek capital looks well-maintained. The street-sweeper is a respected professional there. Young, healthy men clear the streets with good brooms from morning until evening. And drivers respect the rules of the road – at least in the city center. Tashkent installed dozens of traffic cameras at major intersections last year and the effort is already bearing fruit. Another pleasant contrast with Bishkek is the cleanliness of their air. Although Tashkent is bigger and has more cars than the Kyrgyz capital, breathing is not as unpleasant. But Bishkek has the edge when it comes to services. Finding a money-changer is an ordeal in Tashkent. In the end, our guide took us to the downtown Uzbekistan Hotel, where we waited an hour to trade our dollars for a few hundred thousand Uzbek sum. Tashkent’s blend of Soviet and modern was pleasing to my eye. New buildings are harmoniously woven into a coherent pattern – I felt none of the strong dissonance caused by the wild and inexplicable arrangement of elitkas, as we call the characterless high-rise blocks that have scarred Bishkek’s skyline. In the evening, we took a spin in a taxi that was cheap even by Kyrgyz standards. Our chat with the driver covered all the most important points: politics, the economy, the cost of meat and petrol (theirs is cheaper), and the poverty and unemployment that bedevil Uzbekistan. The driver was full of praise for President Mirziyoyev and said that he hoped the positive changes the country is seeing will not be rolled back. 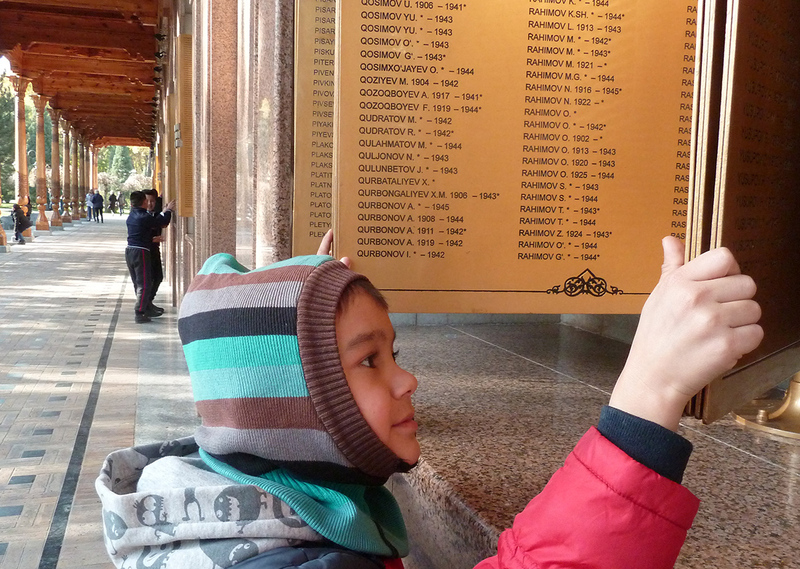 Our trip, of course, also took in Samarkand and Bukhara. Bakhtiyar-aka, a 53-year-old caretaker at Samarkand’s Registan complex, said he was happy to see Kyrgyz visitors. Saralayeva's son, Daniel. Many tourists, like Saralayeva, brought their children to expand their cultural horizons. “In past years, we have had tourists from distant countries – Italians, Germans and Americans. In the last year-and-a-half, we have been flooded with Kyrgyz tourists. 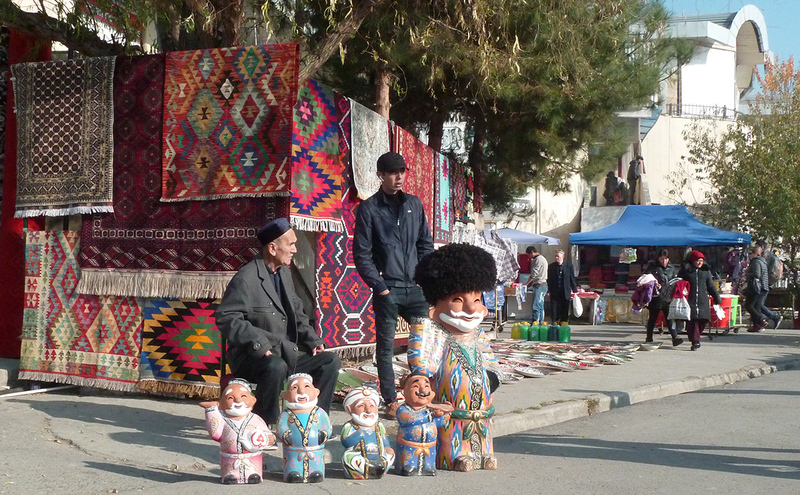 Kyrgyz are not loaded, but they are very eager buyers of souvenirs and they check out the local cafes. It used to be that the late fall, all winter and early spring were a dead season. Recently, we have had tourists from Kyrgyzstan and Kazakhstan coming all year round,” Bakhtiyar-aka told me. Dmitry Abramov, a 26-year-old tour guide, said that his monthly income has doubled thanks to the number of visitors from the former Soviet Union. 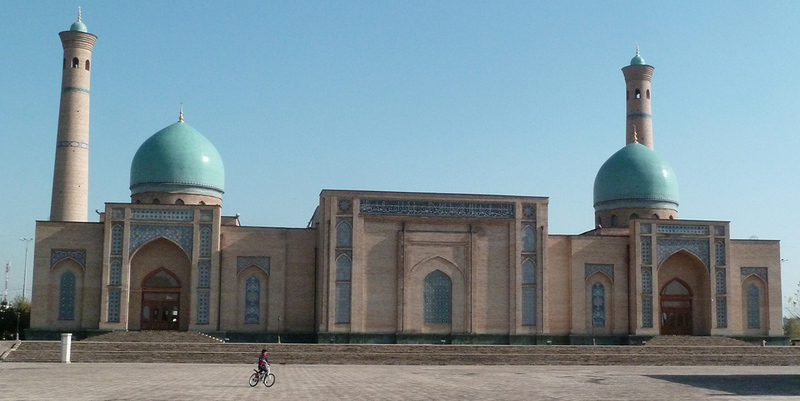 We returned to Tashkent from Bukhara on a high-speed train, which is quite the novelty for Kyrgyz people. And we were pleasantly surprised when a polite young man brought us sandwiches and drinks on a trolley. Remembering the state of our trains in Kyrgyzstan, I became sad. As far as tourism goes, Uzbekistan appears to have pulled ahead of us. Still, the trip was not without its unpleasantness. It turns out that leaving Uzbekistan through the Chernyayevsky crossing is easier than entering. The Uzbek border guards were perfectly cordial, but there was a massive line on the Kazakh side of the frontier. A group of around 200 travelers – elderly people, women with small children, angry men – waited for ages in three queues as border guards did their processing at a grindingly slow pace. At times, scuffles and shouting matches would break out. Our foreign companions again got the worst of it. After particularly rude treatment from female Kazakh border personnel who made no attempt to speak English, the pair were reduced to tears. Arlan Muratovich, a representative for the Asia Expedition tour company, said that the company had appealed to the Kyrgyz Foreign Ministry to urge their colleagues in Kazakhstan to intervene to put an end to these and even worse kinds of scenes. “Tour companies have repeatedly contacted our embassy [in Astana] by email. But they just reply with pat phrases, formal replies and demands of proof. And the situation gets no better,” he said. Problems with getting transportation across the border has even hindered the flow of tourism in the other direction. Buses are put in the same line as cargo, which means they are stranded on the spot for up to eight hours. Travelers headed to nearby Tashkent are just picked up by another bus at the border. But Uzbeks wanting to go to Issyk-Kul, in distant Kyrgyzstan, do not have that luxury.